The Illinois Specialty Crops, Agritourism and Organic Conference was held January 7-9, 2015 at the Crowne Plaza hotel in Springfield, Illinois. Since I am married to a grain farmer I always enjoy this conference that touches on crops I know little about. We have a garden and grow some of the regular sweet corn, potatoes etc., but this conference for me is like receiving the seed catalogs in the mail, a hint of spring. 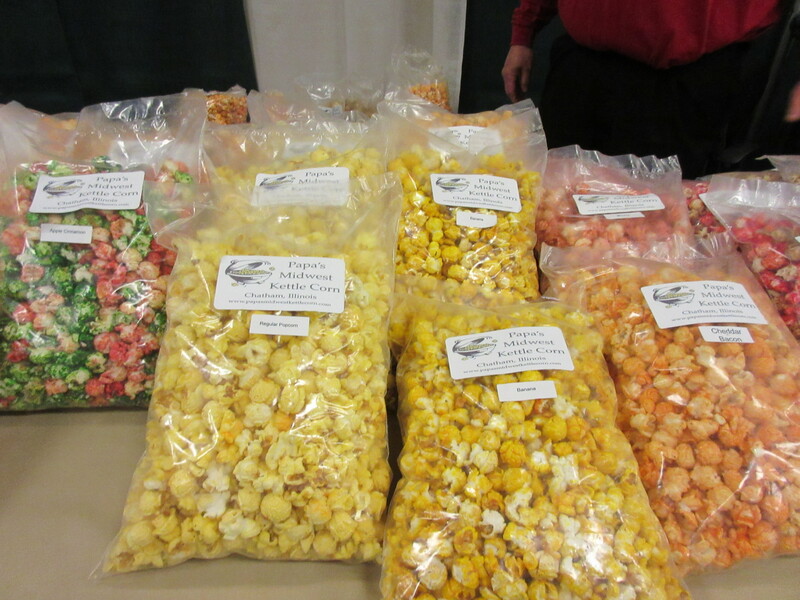 There is usually some herbs on display in the exhibition area, popcorn is popping, seed growers are there and farmers from specialty growers are mulling about comparing notes. This year I interviewed a man that sells bees to enhance pollination and listened to a workshop all about root crops harvest and storage. My favorite stop though may have been to Papa’s Midwest Kettle Corn that is located in nearby Chatham, Illinois. Perhaps this was my favorite because he offered treats at his stop and I walked away with some tasty kettle corn. While winter has its hold and the weather is somewhat questionable check out a workshop or conference and travel somewhere to enhance your brain power. I learned several things at this event, one, bees are shipped all over the world for pollination, there is a market for fall broccoli and don’t wash vegetables until you are ready to use them or they may rot. The most interesting things I learned though came from R. Allen Straw’s presentation about farming by the moon. “Root crops need to be dug in a waning moon, a 3rd quarter moon,” he said. Who knew? I am going to a community event today as a volunteer, maybe I will learn a lot of new health issues while handing out heart health brochures! Get out, stay warm, and expand your knowledge, you will be glad you did!